Mindset Training is run by 2xOlympic Medalist, Katherine Adamek. 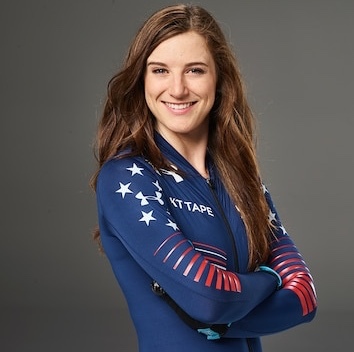 During her comeback to the sport of short track speedskating Katherine entrusted one company, Vision Pursue, with all of her mental skill training. Now Katherine partners with Vision Pursue to teach Performance Mindset skills to high performing individuals and organizations. In 2010 Katherine won a silver and bronze medal at the Vancouver Olympic Games. Shortly after she needed one of what would eventually be three hip surgeries followed by several injections, countless second opinions, and years of rehab. She retired in 2013 and began coaching. After 3 years of coaching she realized that her passion was still in speedskating. She decided to attempt a comeback for the 2018 Games. In 2016 Katherine quit coaching, but stayed in Milwaukee to train with the team that she had worked so hard to develop. She assisted in hiring her replacement, Hongyang Wang, and so began a new adventure of training, competing, injury, adversity, and growth. "Making a comeback forced me to change my mindset," say Katherine, "I knew from 2010 how to work hard, race smart, and win. In 2016 I wanted to dig deeper while maintaining a certain level of sanity. That's where I learned about my second passion in life, mindset training." From 2016-2018 Katherine competed on the World Cup circuit with several top 12 finishes. A concussion in 2017 kept her from competing in the 2017 World Championships. After 6 months off the ice and lingering concussion symptoms Katherine began her preparation for the 2018 Olympic Trials. Her coach and her team helped her get back within tenths of her personal best times, but it was not enough. Katherine placed 5th in the trials that were only picking 3 for the Olympic Team. Competing at Olympic Trials was an emotional roller coaster for Katherine's family, friends, and fans. At the end of a grueling competition Katherine had completed the last stroke of her speedskating masterpiece. It did not end in a second Olympic team bid, but created a deeper sense of pride than any accomplishment before it.